Acclaimed singer, songwriter and author Audrey Assad releases amidst 5-star acclaim today (Feb. 23) her first album of all new songs in four years, Evergreen, from Fortunate Fall Records with Tone Tree Music distribution. The album is available at digital and streaming outlets globally, with iTunes, Spotify, Amazon.com and Apple Music. Forging through the flames of personal pain in the deepest corners of her broken heart, Assad’s Evergreen features songs of rebirth, identity, the rebuilding of trust and discovery of joy and love. 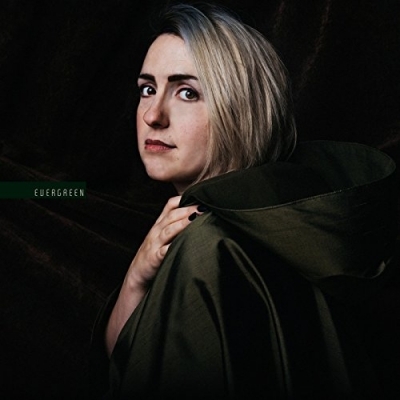 The album was conceptualized in the summer of 2016 when Assad reignited her musical friendship with “I Shall Not Want” co-writer Bryan Brown, who co-wrote and co-produced “Evergreen,” the first song from the sessions that cemented the album’s title. Receiving Apple Music / iTunes “Hot Tracks” and “Pre-Orders” features, adds to Spotify playlists such as “WorshipNow” and “New Music Friday Christian,” and placement on Amazon Music “Fresh Christian,” “Top Worship Songs” and more, Assad’s Evergreen is also gathering recent or upcoming covers, features and reviews in such diverse and significant media outlets as Charisma Magazine, Catholic Digest, HomeLife Magazine, Simple Grace, CatholicTV, JesusFreakHideout.com, HollywoodJesus.com, Worship Musician and many others.